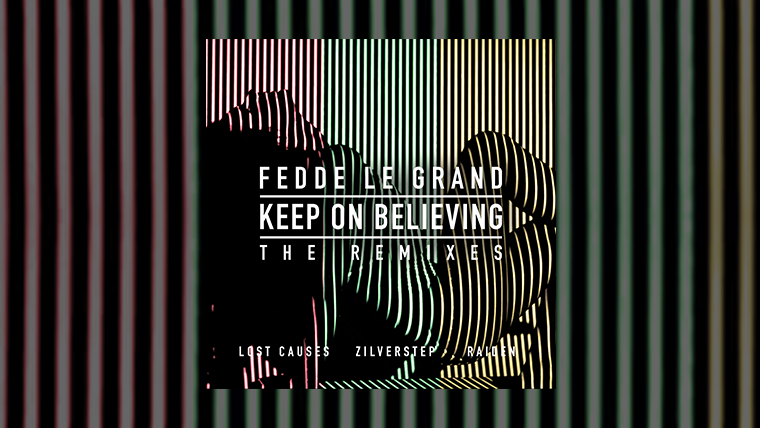 Three months on from the release of his critically acclaimed album, ‘Something Real’, Fedde Le Grand returns with three official remixes of ‘Keep On Believing’. These re-imaginings, from some of the most exciting new producers around, are out via Ultra/Sony and available to stream and download now! Having invited a trio of talent from across the spectrum of dance music to throw their hat into the remix ring, Fedde has managed to put together an eclectic mix of different sounds, styles and variations of his mid-album monster, ‘Keep On Believing’. First up is fellow countryman Lost Causes, who transforms the track into a bassy deep house jam. A genre that has taken the world by storm in recent months, Lost Causes does it perfect justice by utilising thick, bass stabs, syncopated drum patterns, and the iconic vocal from the original. Zilverstep takes the reins next and crafts the track into a summer-flooded house track. Ringing true to the aesthetic of the original, the Dutchman blends emotive synths, a pulsating bass and a saxophone solo to create a track that will undoubtedly be lighting up festivals and clubs in the months to come. Zilverstep, who shot to fame after winning Netherland’s Dancetour DJ contest, is on course to being the next major dance act to come out of Holland. Last but by no means the least is rising South Korean star, Raiden, who ramps up the energy to dizzy new heights with his particular brand of electro house. Taking cues from the likes of Porter Robinson, Knife Party and 3LAU, Raiden offers up a production master-class in remixing, complimenting the original while confidently asserting his distinct style. Having graced the main stages at Ultra Miami, Ultra Korea and Ultra Japan, and having just capped off a major tour of Asia, this dance prodigy is certainly one to keep an eye on this year.